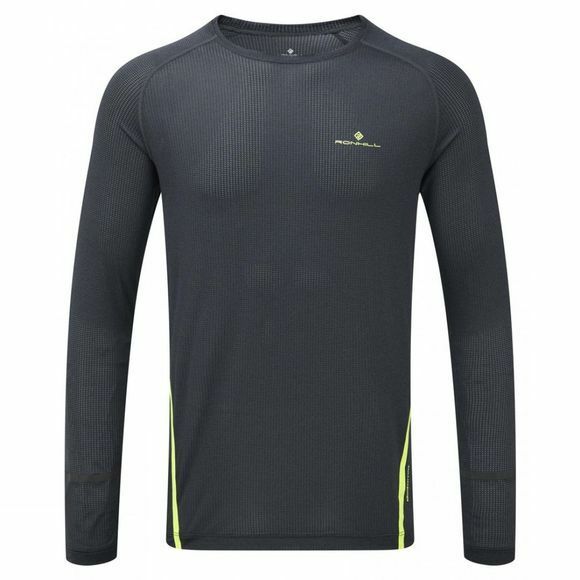 Whether it is the early morning run or in the evenings this Mens Stride Long Sleeve T-Shirt from Ronhill is the ideal layer that can do it all. Its vapourlite fabric wicks away moisture from the skin and is highly breathable, helping to prevent the heat getting to the feet when the running gets tough. The reflective trim will help you stay visible during the cold nights, it is the ideal choice for the cooler runs and warm-ups.